Sacré-Cœur Basilica in Paris. Photo taken with a zoom lens from the first floor of the Eiffel Tower. "After you dump your suitcases at your hotel or apartment, where's the first place you go as soon as you arrive in Paris?" 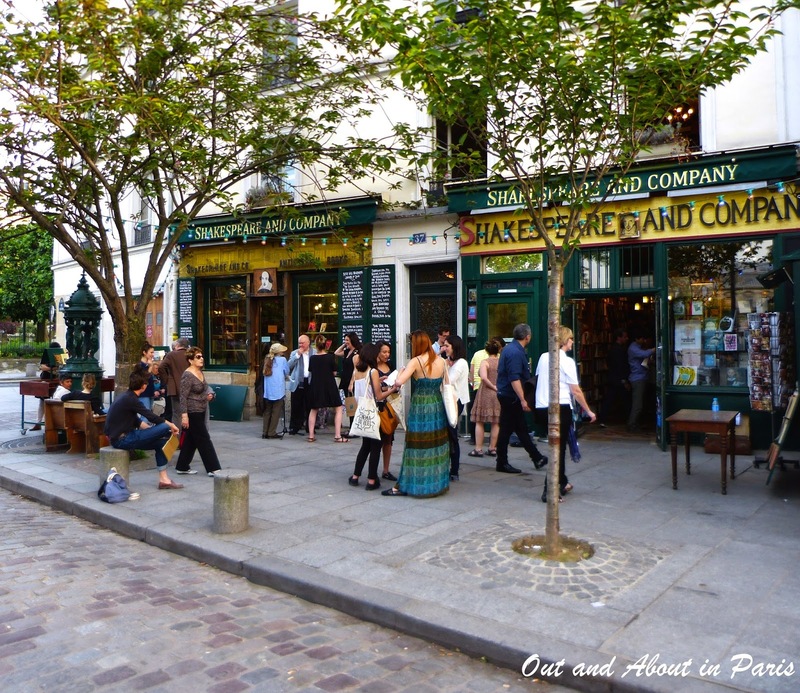 Judging by the overwhelming number of responses that I received after posting the above question on "Out and About's" Facebook page, people are always happy to return to the French capital! If you're planning your first trip to Paris, here are some helpful ideas for making it extra memorable. Nate Cochrane: Jardin du Luxembourg then a little place around the corner for Nutella-praline crepes and a red wine at a nearby cafe. Nancy Reinstein Bettencourt: I go to meet my friends...... location unimportant, just great to reconnect. Rodney De Coster: Well I actually arrived Thursday and my first stop was Angelina's. They have the best onion soup surprisingly. Elizabeth Anderson: I have a Kir Royale. Or two. Sometimes three. Janet De Acevedo Macdonald: The Tuileries. I walk from the Arc de Triomphe to the Louvre and, weather permitting, linger in the green chairs in the garden of Catherine de Medicis. Shakespeare and Company in Paris. Thilde Peterson: Notre Dame... a small bouquet of flowers for placing at the feet of St. Vincent de Paul, then off to Shakespeare & Co. The same ritual since I first landed in Paris at the age of seven. Old habits die hard! John Raddish: My wife and I go to Les Invalides first. Hit a cafe. Then all is well in Paris!! Candi Duncan: A walk to check out my favorite buildings. Mary King: Depends where we're staying, but it's never far from the river. Just wander and soak it all in. Whitney Webb: The sidewalk. No matter the jet lag we immediately hit the sidewalk for a nice walk and a cafe stop. I LOVE PARIS! Vickie Cunningham: We dump the bags, and go to a tiny little tea room right next to POILÂNE for lunch and some wine. It's always good to walk around after being on the plane for so long! Luxembourg Gardens is good for that. Sandra Taylor: Lovely parks and places to see, a stroll along the River Seine is also nice. Paris is a wonderful city to wander around. Nancy Warren: Lived on rue Jacob and frequented le Café Mont Cenis. Loved living in Paris! So beautiful. Julie Makepeace: I go to Place du Trocedero, sit in a cafe and look at that amazing view of Paris. 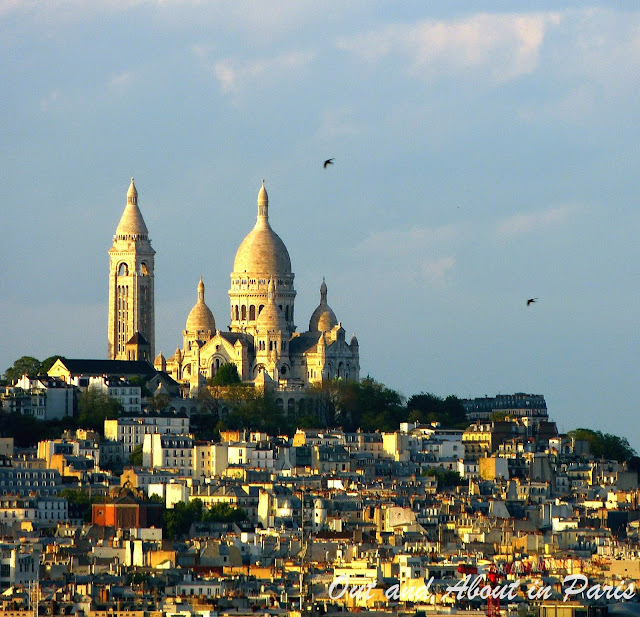 Travel-fairy Stewart-stevens: We head to a cafe then Sacre-Coeur. Gail Cohen Wish Young: Café du Marché on rue Clèr, 7ème, my old "Cheers" stand-in when I lived nearby! 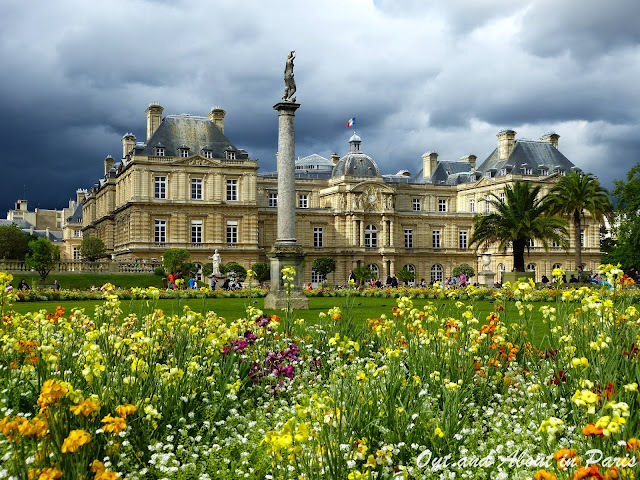 Ann Marie Walker: My first stop is Jardin du Luxembourg then a stroll on Rue Vavin. Harriett Godwin: I go sit in the Luxembourg Gardens and then head to a café and sit outside with a glass of rose. Anne Schwartz: Any place that requires you to just keep moving. Sitting down is not a good idea! Steffen Pihl: Place de la Concorde. So beautiful. And I love the view of the Eiffel Tower from there. Mary Veronika Porter: Place des Vosges. Christine Betts: Buy a crepe from the kiosk behind St Germain des Pres and walk to Les Invalides then across Pont Alexander III. Sandra McCarthy: I find a good place to sit and have a delicious Cafe Creme and just give thanks that I am in Paris!!! Tony Thai: Sit on the steps and watch people pass by and Paris below !!! Bonne nuit. 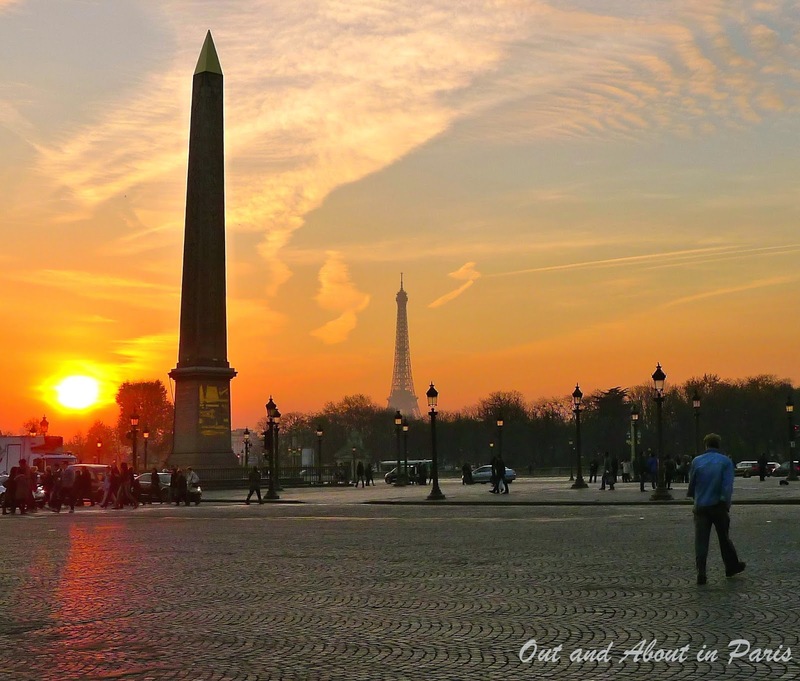 Sunset at the Place de la Concorde in Paris, with a view of the Eiffel Tower. Fabulous photos with interesting information. I wonder what Shakespeare is doing in Paris. I thought Parisians hated the English. Those sound lovely. If I'm in Paris, it's almost always to change trains, so the answer is the inside of the metro :/ But that means I'm off to somewhere else fun, so can't complain!